Anna Wintour's decision to wear sunglasses while in conversation with the Queen at a London Fashion Week catwalk show has been labelled "unacceptable" and "the height of bad manners" by a royal expert. The editor of US Vogue, who is British and was made a dame by the Queen last year, kept her signature sunglasses on as she spoke to and sat with the Queen on the front row of London-born designer Richard Quinn's fashion show on Tuesday. Grant Harrold, an etiquette expert who worked in the Prince of Wales' household, said Ms Wintour's actions had broken royal protocol. "Ms Wintour should know that to wear sunglasses when talking to another person, with no medical reason, is unacceptable," he told the Press Association. "She should have removed them before being in the presence of the Queen, let alone in discussion." "Eye contact is important while holding a discussion, and not removing sunglasses is the height of bad manners and a serious breach of Royal protocol," Mr Harrold said. "If the Queen gave her permission to keep them on then that would be acceptable, however this would be unlikely." 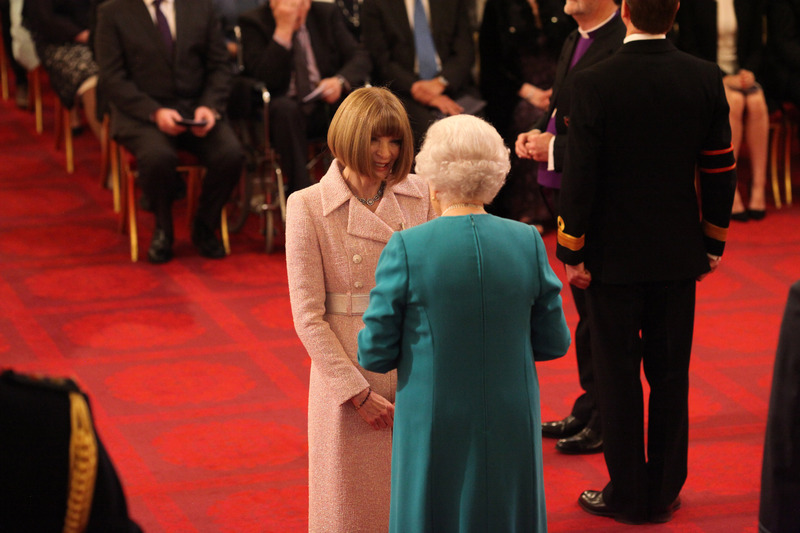 Wintour, who has been at the helm of US Vogue for 30 years, is rarely seen without her signature Chanel spectacles, but did not wear them during the investiture ceremony last May when the Queen made her a dame. In an interview with CBS in 2009, the editor said her sunglasses were "armour". "They're seriously useful. I mean, I can sit in a show, and if I'm bored out of my mind, nobody will notice. And if I'm enjoying it, nobody will notice," she told Morley Safer. People online expressed some shock that she did not remove the shades. 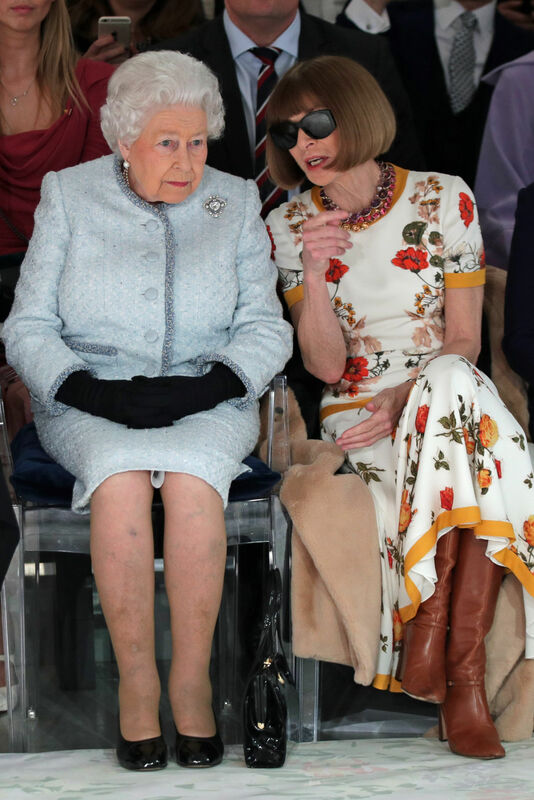 "Dame Anna Wintour," said one, "being a fashion editor surely you should know wearing sunglasses indoors is so naff especially being seated next to the Queen". Dame Anna Wintour,being a fashion editor surely you should know wearing sunglasses indoors is so naff especially being seated next to the Queen . Another called it "rude" and "ignorant". How rude was Anna Wintour to wear sunglasses inside when with the Queen? Very bad taste and ignorant.